We will design the move in or move out cleaning service in Clapham by keeping in mind your convenience and satisfaction. Our aim is to deliver the highest standard of cleaning service. Glory Clean uses only the finest and environmentally friendly chemicals, industry standard equipments and tools to ensure your residential or commercial property in Clapham is left sparkling clean. We save our clients time and money by delivering a personalised move in / out cleaning package that suits the budget and requirement. Both residential and commercial clients can book a reliable move in / out cleaning at the start of their contract. Glory Clean offers affordable move in / move out cleaning service in Clapham. 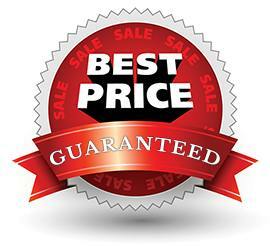 We offer great discounts for early bookings with the assurance of no hidden charges. Get the assistance of well trained, fully insured and experienced cleaners. Our expert cleaners will leave the property you once inhabited in a clean and new condition. You can hire our reliable move in / move out cleaning service in Clapham to impress the landlord and future occupants by leaving behind a deeply cleaned property. Get in touch with Glory Clean today to enjoy a top quality move in / move out cleaning in Clapham!